At Ostrer & Associates, P.C., we are a team of attorneys with years of trial experience in both criminal defense and personal injury matters. Known throughout the Hudson Valley for our commitment to protecting the rights and interests of our clients, we have achieved numerous awards and settlements on behalf of accident victims. Our attorneys have secured acquittals and favorable outcomes in both state and federal courts. By handling a wide variety of civil and criminal cases throughout the region, we know the prosecutors, authorities, judges and others in the local legal communities of southeastern New York. We have tried cases at both the state and federal level, and represented clients before the New York Court of Appeals. This insight helps us better defend our clients or intelligently pursue their interests in civil matters. Building a strong defense on behalf of those accused of serious crimes, our attorneys arrive prepared, focused and ready to fight for our clients. Our attorneys have been highly recognized for excellence by clients and peers in the legal community. Benjamin Ostrer earned an AV rating* through Martindale-Hubbell's Peer Review Rating, has been selected for inclusion by Super Lawyers for his criminal defense work in Upstate New York, and is recognized throughout the Hudson Valley as a tough and dedicated criminal and civil trial lawyer. He has also obtained favorable results on both criminal and civil appeals. 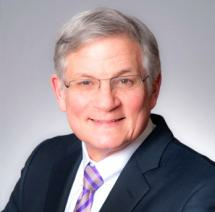 David Darwin, the former Orange County Attorney, heads the firm’s civil practice. Dave and Ben have more than 60 years of combined litigation experience with an unmatched record of success on behalf of their clients. For counsel and representation focused on you, your needs and your goals, reach out to Ostrer & Associates, P.C., and schedule a consultation at our Chester, New York, law office. Personal injuries can impact a family for months and years to come. Serious head, neck and back injuries can result from car accidents, motorcycle accidents or from seemingly minor slip and falls. The Hudson Valley criminal defense attorneys of Ostrer & Associates, P.C. provide vigorous and effective representation for defendants charged with any type of crime.